Around the 97-98 season, the Air Jordan 13 released and became popular due to its Hologram and signature pod feature, that was modeled after the Jaguar. One of the first colorways to release, was the White and Black Air Jordan 13 that was also featured in “He Got Game”, a film starring Denzel Washington and Ray Allen. 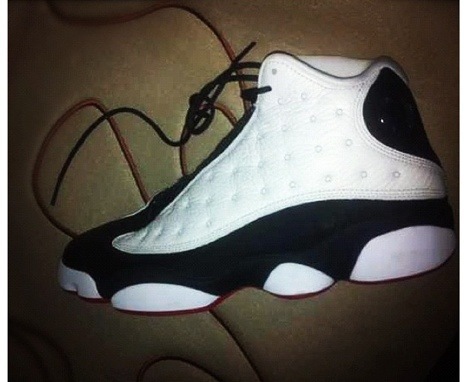 The Colorway returns in 2013, just 4 years after the CDP release. Let us know if you’ll be picking these up. No 3m?! WTF! (sarcasm) I’m good on these, got 4 OG’s and 2 cdp’s.